AI and automation are being combined in different ways to complete tasks more efficiently than humans. Every business will be impacted by intelligent automation sooner than may be apparent, so the time to think about it is now. If you haven't considered how intelligent automation will impact your industry and company, start now. Automation is going to impact every industry and every business in some way, first as a competitive differentiator and later as a matter of economic necessity. The average consumer has been interacting with bots online and on the phone for years. However, bots are now reviewing contracts faster than lawyers can and solving scientific problems that have taken scientists decades to solve. Some vendors already claim that their software can replace salespeople or data scientists, although management and technology consultants tend view automation as "assistive" because humans and machines excel at different things. The manufacturing industry has proven that machines are better at rote, repetitive tasks than humans because they can do the same thing a bazillion times without getting tired or bored, or needing a break. However, machines are also better at pattern recognition than humans, which describes one of the core things researchers, consultants and even journalists do. Perhaps intelligent automation would be easier to understand if its growth path were linear, meaning that it would replace tasks that don't require a lot of intelligence or skill first, and then move up over time to tasks that require increasing levels of skill and knowledge. That isn't the way things are shaping up, however. 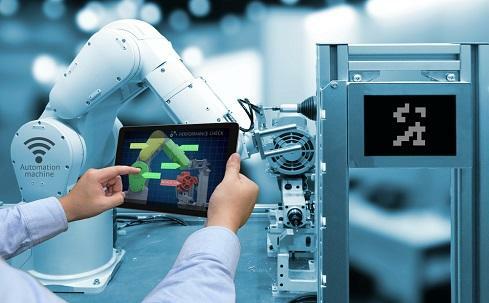 "Outsourcing and offshore manufacturing affected certain categories of jobs and there was job creation in other areas and that played out over a decade," said Todd Lohr, a principal within KPMG's Technology Enabled Transformation practice. "The problem here is this is going to happen faster than other transformation. It's non-linear, and it's going to affect all job categories." Lohr thinks automation will become the new corporate responsibility trend, like "green" which has been fashionable for the last three decades. "The C-suite is enamored with technology. They have Alexa, they're using Siri, they're seeing it in their own lives. They're buying Teslas and seeing self-driving cars are happening," said Lohr. "This will impact them as leaders. What is their responsibility to their workforce and society? It's not just a cost/benefit analysis, so I think there's going to be another paradigm for them to make those decisions." Business leaders need to consider how intelligent automation will impact their business model, goods and services, or they may find themselves disrupted. Similarly, a disruptor who understands the technology but fails to consider cost may find itself disrupted by a company that can deliver the same result at a lower cost. "We've been talking about AI forever and nothing has happened, but people don't recognize that the last 20 years was the very slow part of [the] exponential growth curve," said Lohr. "Organizations need to think about how they handle this today because it's going to happen faster than they think. They have to think about what it means to their organizations and the societies in which they work." Intelligent automation, like any other technology, needs to be considered in the context of the existing infrastructure and how well it will scale. As always, what works well for a proof of concept may not scale well enough for a large enterprise implementation. "You need to think about design in terms of what is going to be done digitally. You also have to think about governance," said Sanjay Srivastava, chief digital officer at global professional services firm, Genpact. "If 50 employees failed to come to work in a 250-person firm, you'd have policies around that and visual clues. If 50 robots stopped working because of a password change, it might not be immediately obvious." Srivastava raises a good point: The policies that apply to people today need to be revisited in light of digital transformation and intelligent automation. Srivastava recommends business leaders and IT consider how the existing architecture and IT infrastructure need to evolve so any automation can align with what a company is trying to achieve and can change as needed. The operating model also needs to be considered, and that includes the functions being automated, the role of that function in the enterprise and end-to end-processes. Finally, governance will be necessary to avoid or reduce the risks of errant bots and biased AI. "You have to look at end-to-end processes in terms of integration and visibility," said Srivastava. "If it's designed right, it works well." Business leaders need to consider how automation will affect their operations, workforce, technology stack and offerings. Importantly, they should ponder what they want to (or would want to) achieve with automation, such as efficiency gains or cost reduction. Ignoring the situation is unwise given the rapid pace innovation. Some will disrupt. Others will be disrupted.